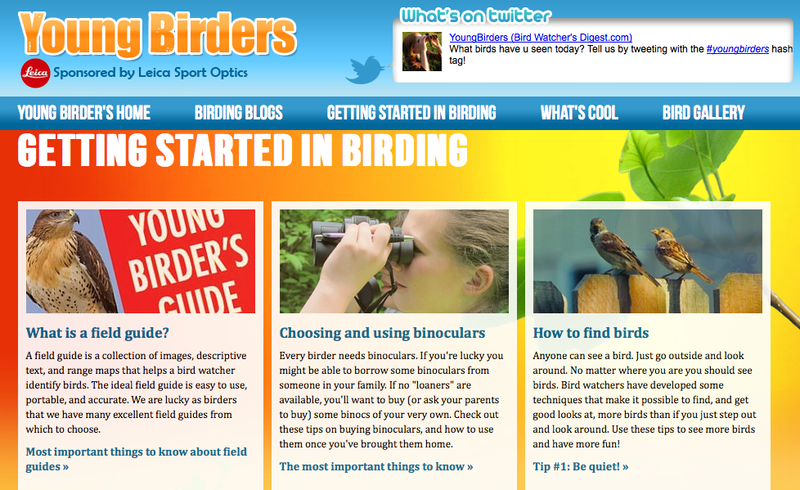 New Site for Young Birders! I have a great deal of respect for individuals who "pay it forward" at some point in their lives. By that I mean, doing something nice or supportive for someone else just because it's the right thing to do—not because there's some big payoff in it for them. You know what I mean, right? The dad who coaches a little league team long after his own kids have left for college; the teacher who runs an after-school science club on her own time, funded out of her own pocket; the teenager who mows the elderly neighbor's lawn; people who voluntarily pick up trash in parks just because it makes things better for everyone! I also admire companies who invest in causes that they care about. One such company is Leica Sport Optics which has invested many thousands of dollars over the past couple of decades in support of programs for young birders. 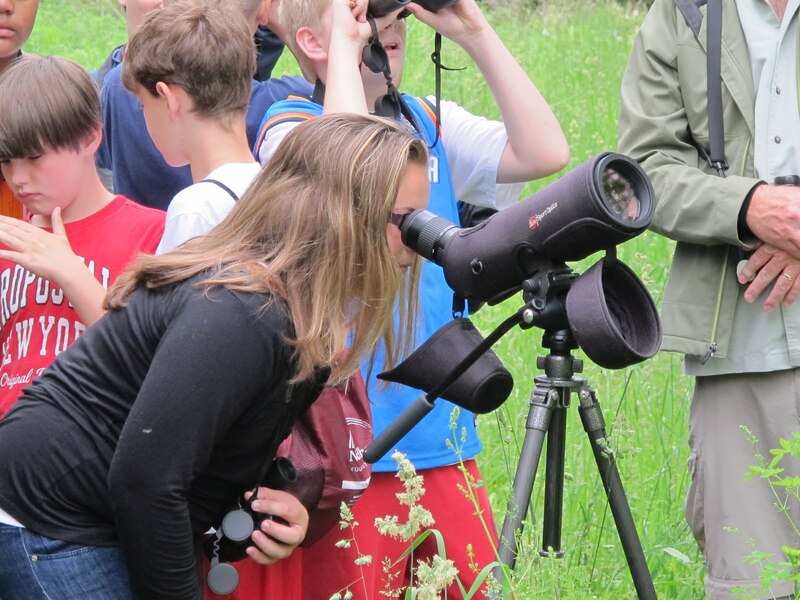 Leica has co-sponsored youth birding camps, conferences, young birder teams in birding competitions, optics giveaways for young birders, and special youth-oriented events at birding festivals. 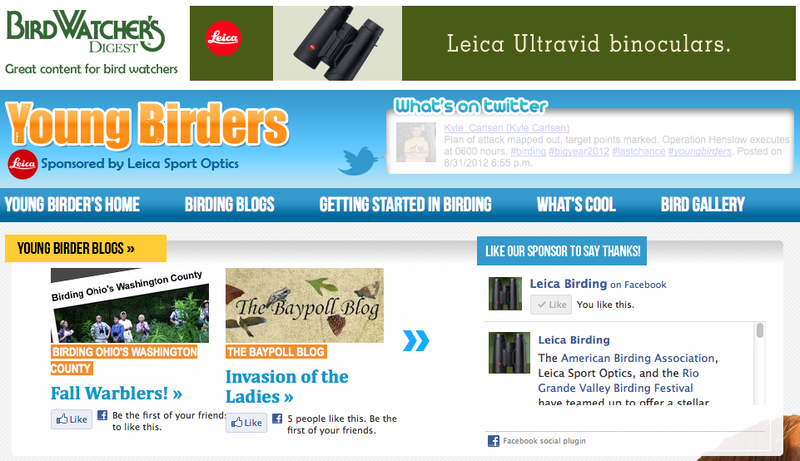 Now Leica is the sponsor of a new online resource for young birders on the Bird Watcher's Digest website simply called Young Birders. 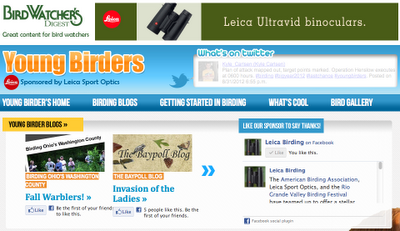 The site is designed to help beginning bird enthusiasts to have a successful start in the hobby. And it gives avid young birders a place to share their experiences, adventures, images, tweets, and blog posts with others. Three young bird watchers are sharing their regular blog posts on the Young Birders site: Corey Husic, Kristina Polk, and Kyle Carlsen. Other resources included in the site are: a directory of young birder organizations in North America, a photo gallery, a running stream of fascinating bird facts, tips for choosing optics and a field guide, and ticker-windows showing Leica's Facebook and Twitter feeds. The Leica Young Birders site will be streaming tweets that use the hashtag #youngbirders. 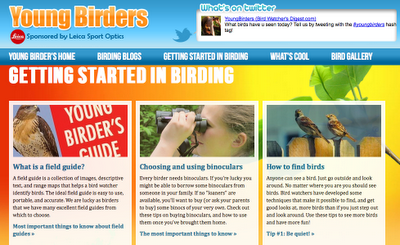 I'm so thrilled to see all the resources available to young birders today. How I wish we'd had similar opportunities for connecting and learning back when I was a young birder (in the days when dinosaurs still walked the Earth). My sincere thanks (and much admiration) to Leica Sport Optics for their years of consistent support for the growing community of young bird watchers. That's what I call "paying it forward!" Yes friends, it's time once more for a Bill of the Birds Caption Contest. Send in your clever caption (using the comments interface on this blog) by Tuesday, September 4, 2012. If your caption is selected as the overall winner, you'll receive a year's subscription to Bird Watcher's Digest. This amazing photo was contributed by my good pal Rondeau Ric McArthur who is a past winner of the caption contest here at Bill of the Birds. New Podcast: Teen Birders on Hog Island! 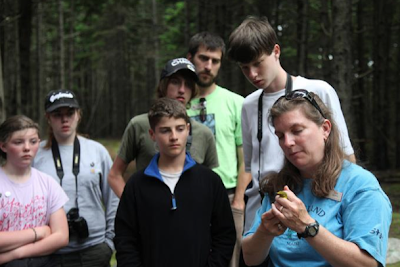 Dr. Sara Morris gives a banding demonstration to some of the teen birders at Hog Island Audubon Camp. Photo ©Corey Husic. 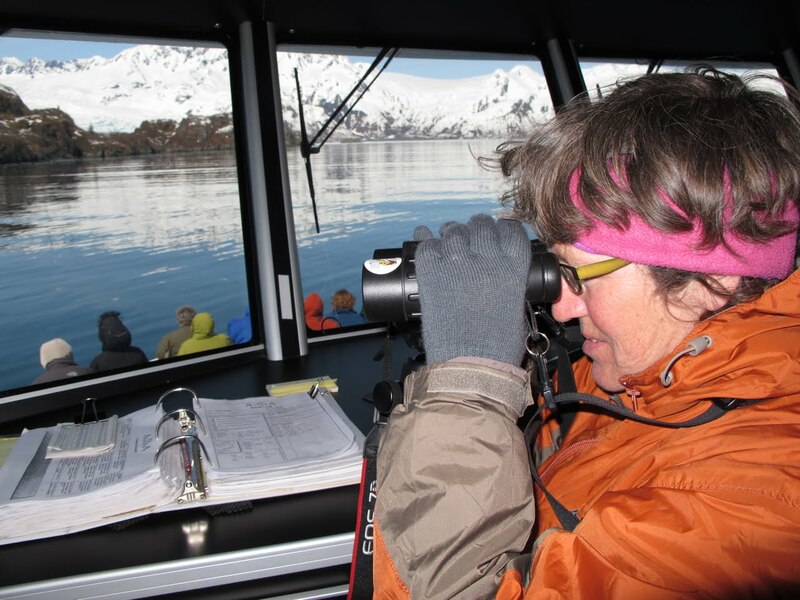 There's a new episode of my "This Birding Life" podcast: "Teen Birders on Hog Island." It features interviews with five teen birders who were part of a Joy of Birding/Coastal Maine Bird Studies session at the Hog Island Audubon Camp in late June 2012. 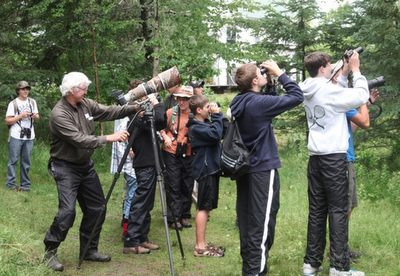 Young birders getting oriented on the session's first day. Hog Island is quite an experience for nature lovers of any age. But the group of teens that shared our week in late June seemed particularly enthusiastic and knowledgeable about the natural world. It was a real treat to have them there with us. 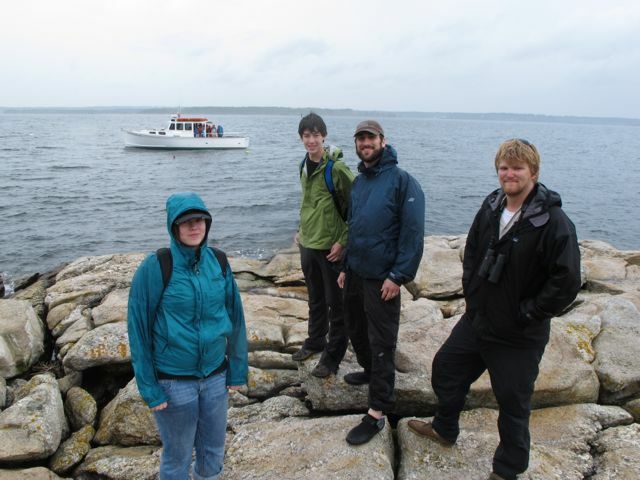 Campers ashore on Wreck Island with instructor Tom Johnson (right) and naturalist Josh Potter (second from right). Despite the iffy weather, somewhat rugged terrain, and boat trips on unsettles seas, the teen birders seemed to enjoy themselves immensely. After all, an island on the coast of Maine is a very interesting, unique place to spend a week. 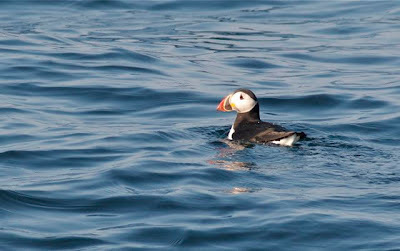 There are birds to see—including Atlantic puffins! And there are others there with you at Hog Island who share your interest in birds and nature. That in itself is a very special thing. Watching and photographing a northern parula nest with instructors Lang Elliott and Julie Zickefoose. Give this new episode a listen. If you're a young birder (or just a young-at-heart birder) consider attending one of the excellent week-long 2013 sessions at the Hog Island Audubon Camp. Now you know I'm also going to encourage you to take a young person birding. 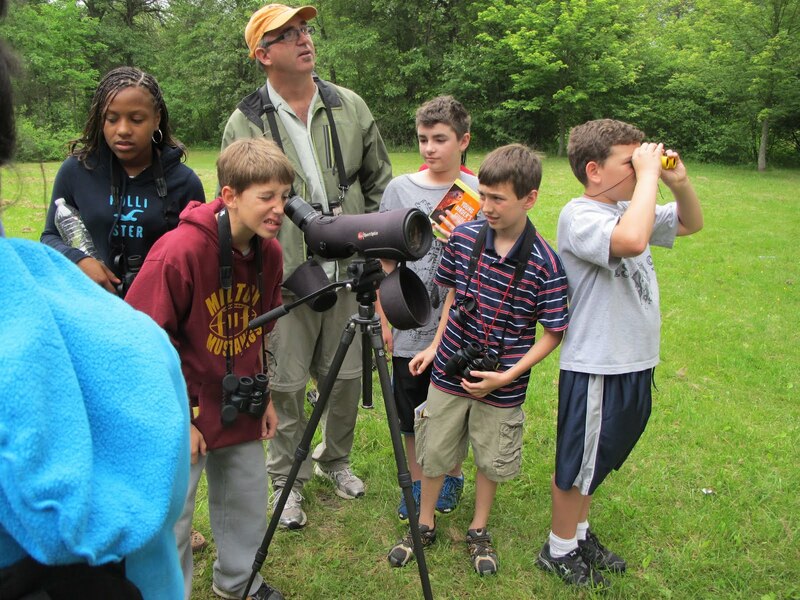 There are an increasing number of really excellent events designed specifically for young bird watchers, including the upcoming Mid-Atlantic Young Birders' Conference sponsored by the American Birding Association. 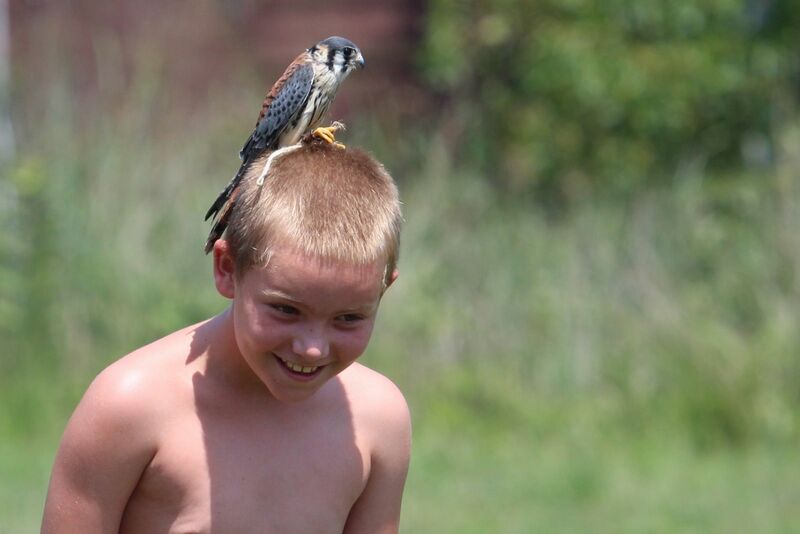 I'll have more news to share about encouraging young birders in the near future. Until then, I'll see you out there with the birds! 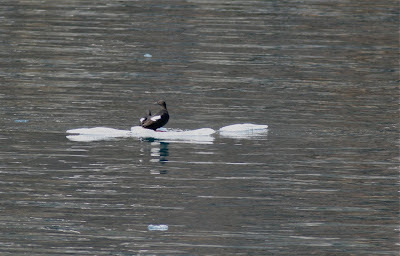 As we cruised onward to the glacier we were scheduled to visit, the wildlife we encountered both on land and in the surrounding water changed subtly. Captain Tim (shown above, standing on the bridge) gave the passengers an informative narration, pointing out interesting features of the landscape, telling us some of the history of the region, and predicting what we'd be seeing up ahead. 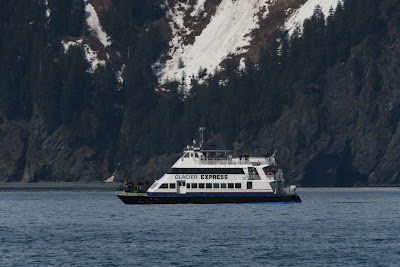 We saw one or two other sightseeing boats as we sailed along. It was nice to know that the captains of the various vessels share their sightings with one another. Cooperation seemed to be the rule rather than the exception, which was refreshing. We saw several black bears and a few, more distant, browns. 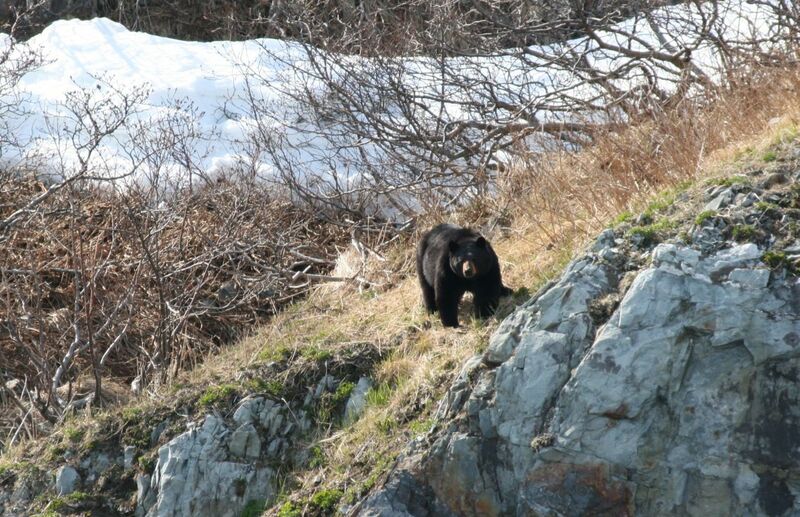 This large black bear just stood still and watched as we went past. His photograph was captured by at least 100 cameras, of all makes and sizes. He was close enough that cellphone cameras were sufficient. Even though I've spent thousands of hours in areas in the East where black bears are common, this was my best look ever at one. 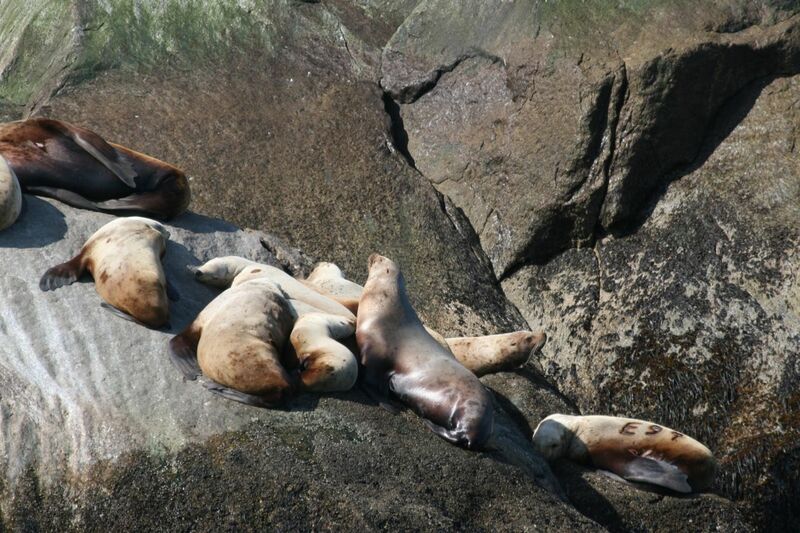 We saw a couple of large gatherings of Steller's sea lions, including a few individuals that had been branded with numbers by wildlife officials or researchers. This large seal species inhabits the northern Pacific coastlines, but it is critically endangered having suffered huge population declines in recent decades. Captain Tim invited Julie and me into the pilot house after he heard us calling out a lot of bird IDs. The view from up high was spectacular and it was really nice to be out of the chilly wind. 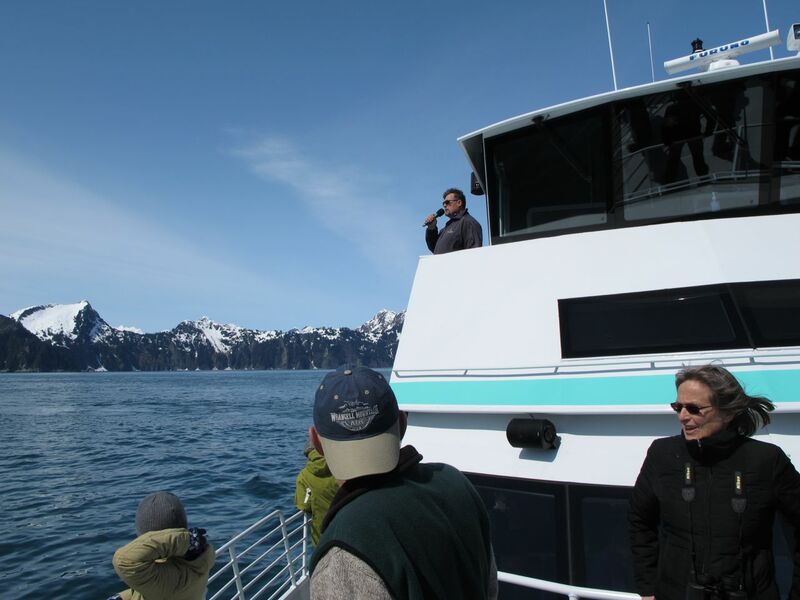 As we got nearer to the glacier the captain was in radio contact with other vessels asking where the best ice-free passage was. It was so calm and quiet deep in the narrow fjord that we could hear floating ice clunking against the boat's hull. Many Titanic jokes were made, though not by the captain and crew. 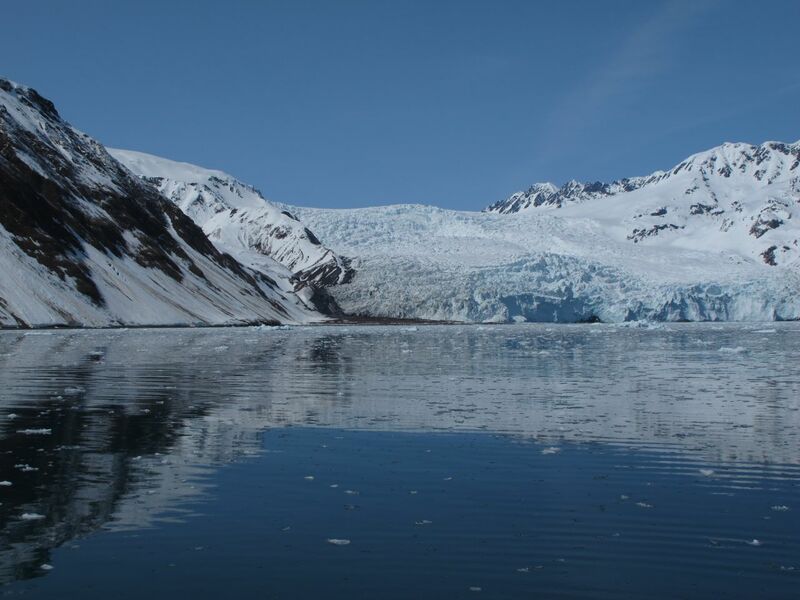 We saw several large chunks of the glacier fall away and into the water—something referred to as calving. 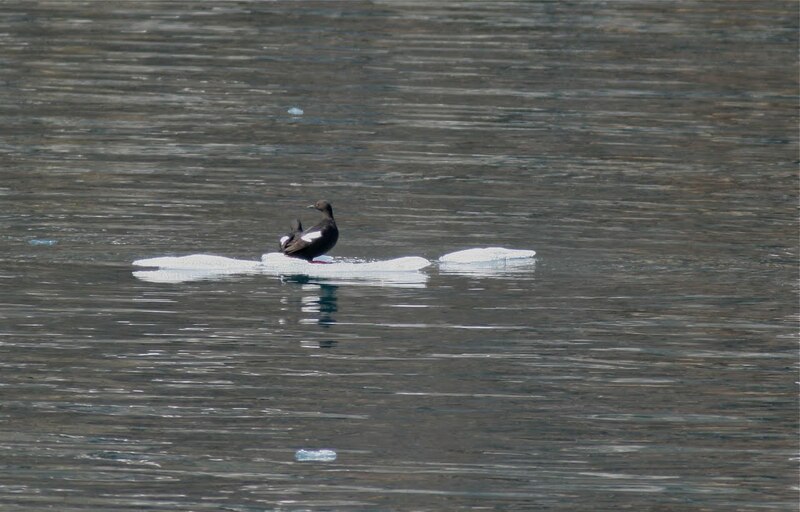 Pigeon guillemots were easy to see, swimming, flying past, and even hitching a ride on an island of ice. Three ducks flew past so fast and low that I couldn't get an easy ID with my binocs. I snapped a few photos with my camera, hoping that I caught the birds. I looked at my camera's playback screen, and whaddayaknow! 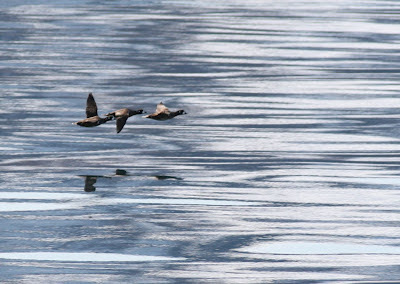 Harlequin ducks! Sweet. 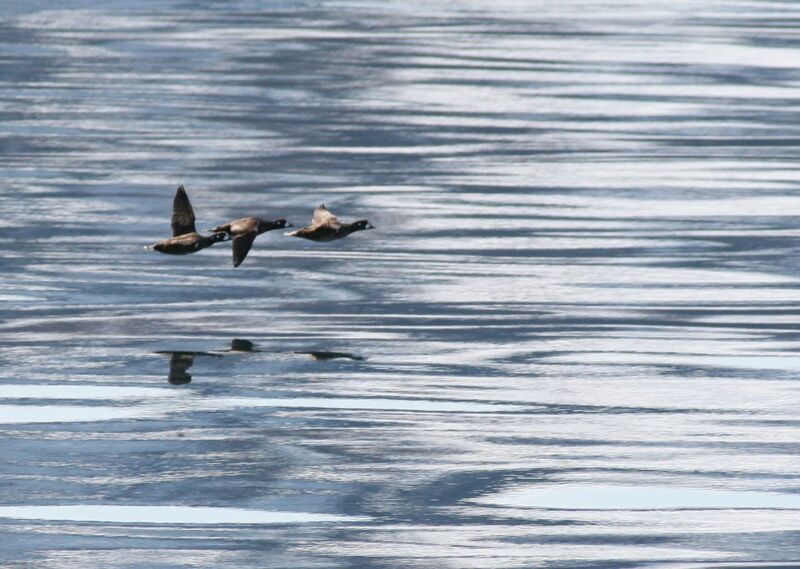 There were other birds, seen in singly and in pairs, that were hard-to-identify distant dots on the water's surface. 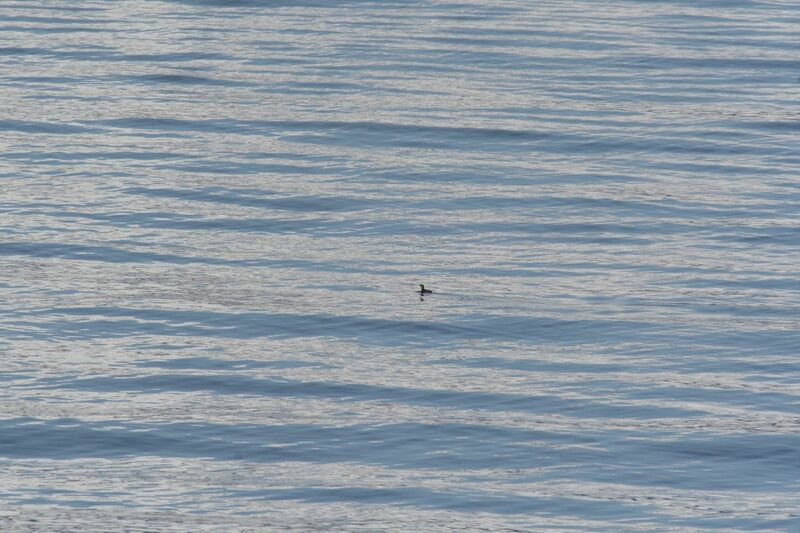 Auklets? 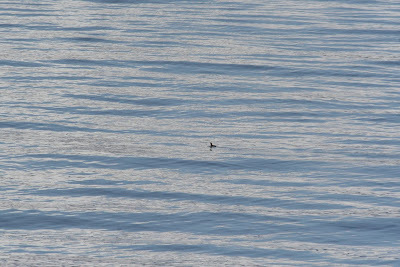 Murrelets? Hmmm. We'll revisit these tiny mysteries in part III of this journey.